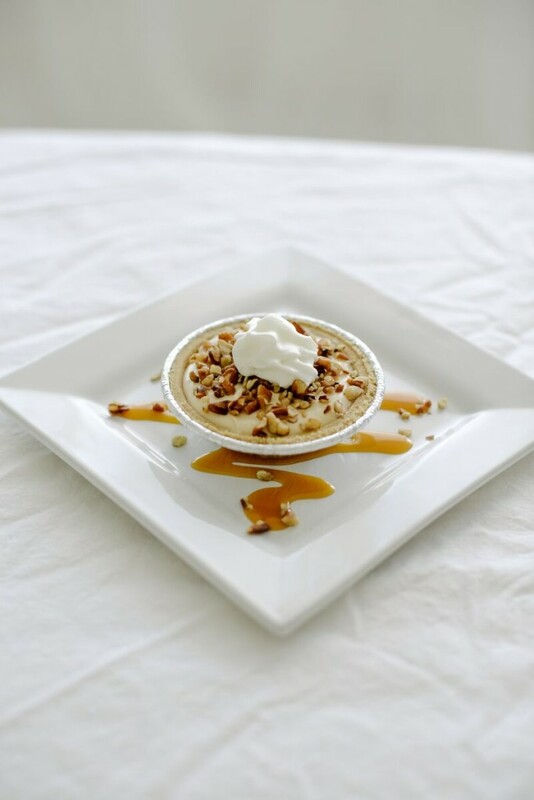 I really love the flavors of pumpkin during the fall and if I can find a way to incorporate them into dessert…bonus! Pumpkin + dessert = my happy place. 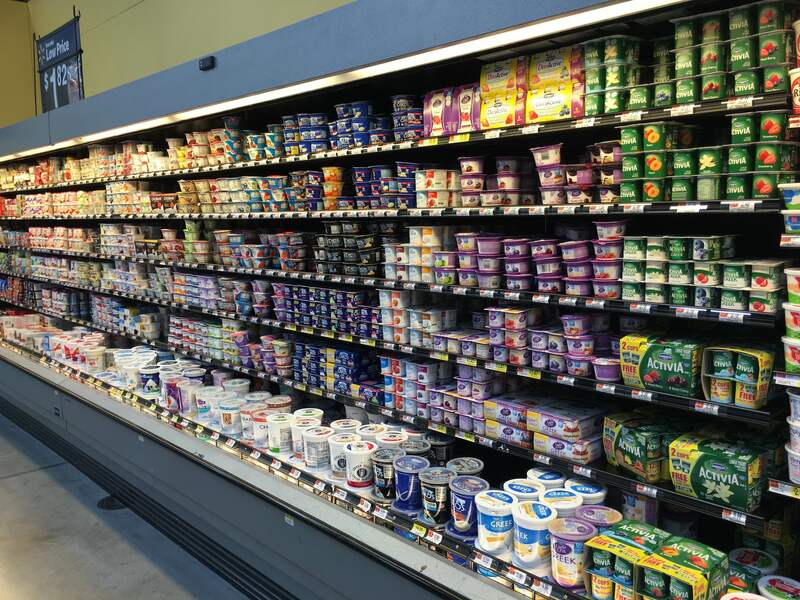 I was really intrigued when I heard my friends talking about the new Dannon® Greek Yogurt Oikos® Pumpkin Pie yogurt they had found at the grocery store. I knew I had to try it! 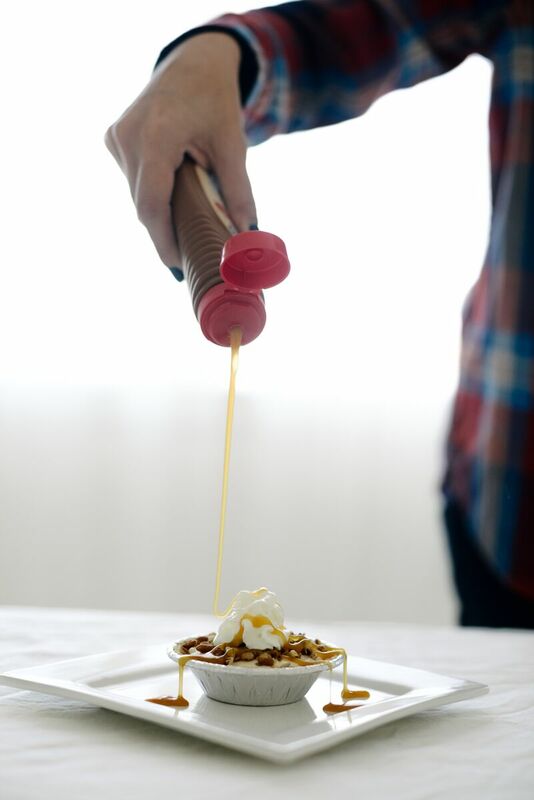 And with Thanksgiving around the corner, I wanted to create a fun (and easy dessert) that I could have ready for guests within a few minutes. 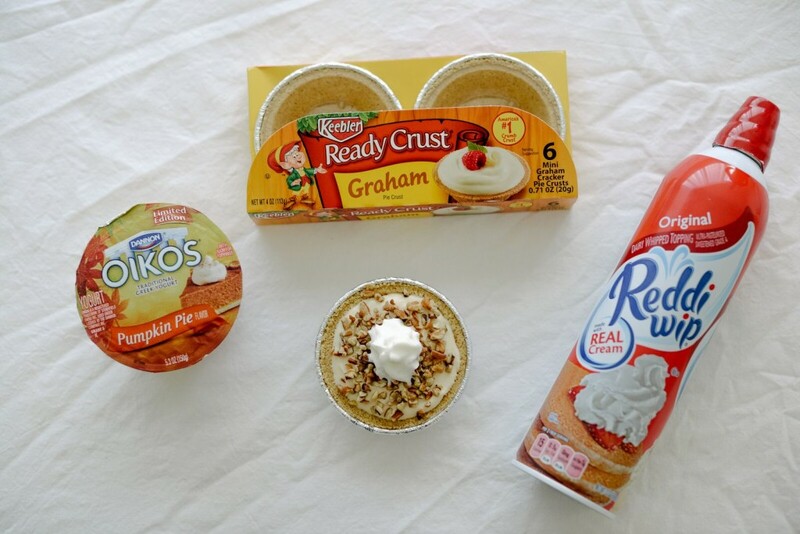 So, I headed over to my local Walmart store and picked up some ingredients to make mini no-bake pumpkin pie cheesecake! 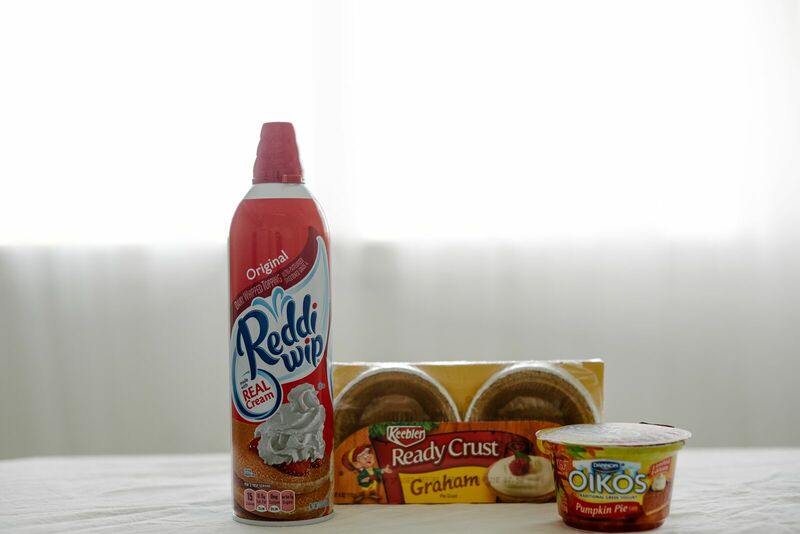 1 Can of Reddi-wip® original 13oz. 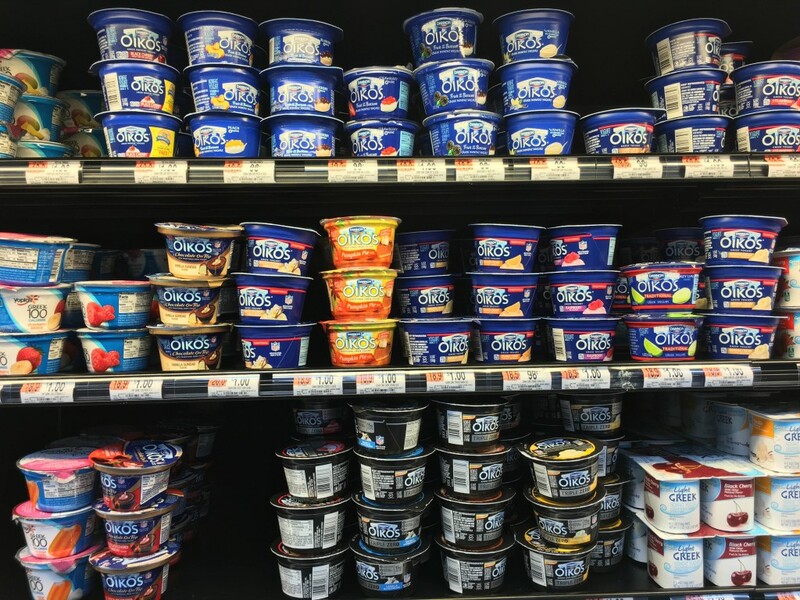 In a bowl, combine the package of cream cheese and the Dannon® Greek Yogurt Oikos® Pumpkin Pie yogurts together. 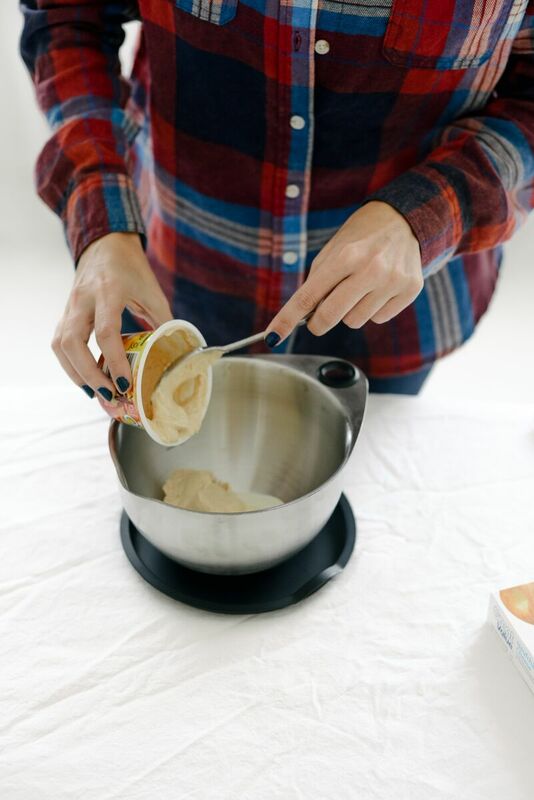 Mix well until the filling is smooth and creamy. Once mixed well, place your cheesecake mixture into the Keebler® Ready Crust® Mini Graham Cracker Pie Crusts, filling until the filling meets the top of the crust. 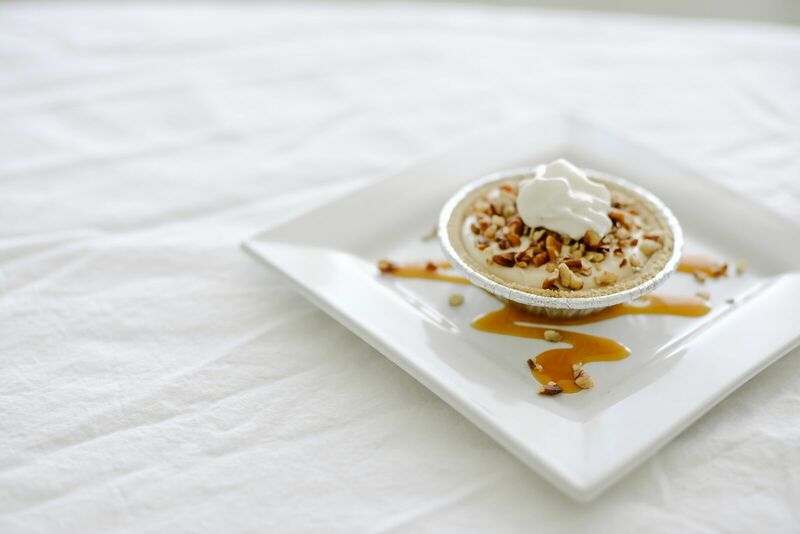 Sprinkle crushed pecans onto the top of each mini pie, ensuring the top is covered. 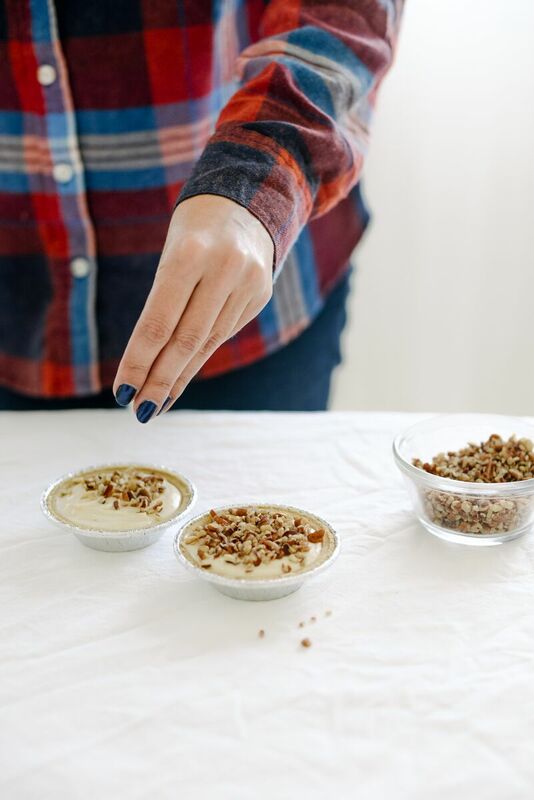 If you don’t like nuts, swap out the pecans for toffee chips instead! 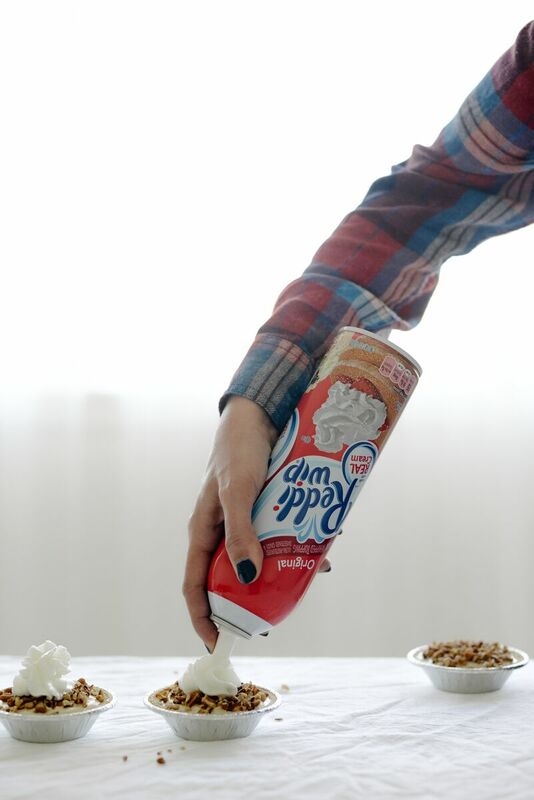 Top the centers of the mini cheesecakes with a dollop of Reddi-wip® original whipped cream, because what’s a cheesecake without whipped cream? An incomplete one, if you ask me! 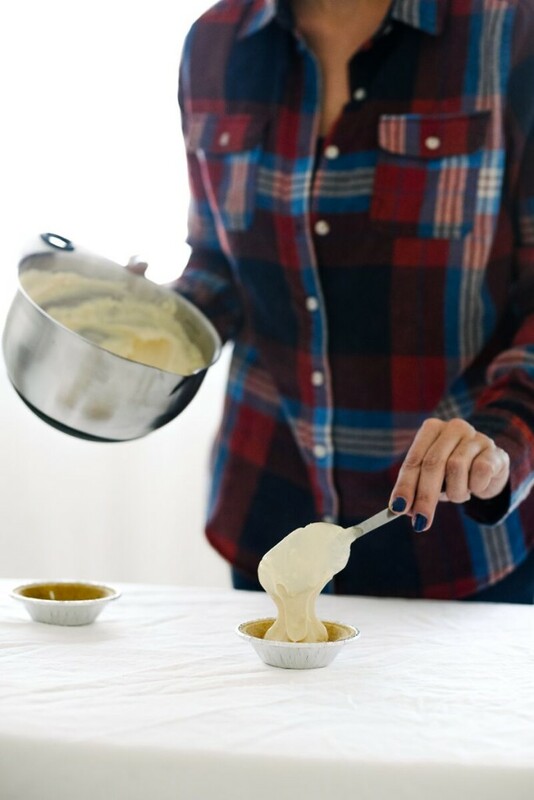 Next, drizzle the top of the cheesecakes with gooey caramel! The only thing left to do it eat them! They can be prepped in advance and stored in the fridge to chill before your event, but make sure to add your toppings right before serving. 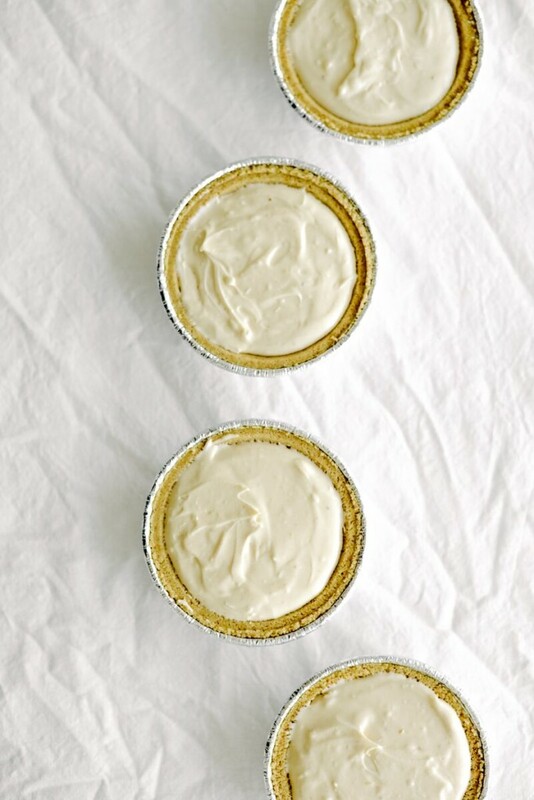 This mini no-bake pumpkin pie cheesecake is super yummy, only requires 6 ingredients, and is a cinch to put together! Be sure to check out more delicious effortless pie recipes and ideas at effortlesspies.com and let me know what recipes you guys create this holiday season! Oh my!!! 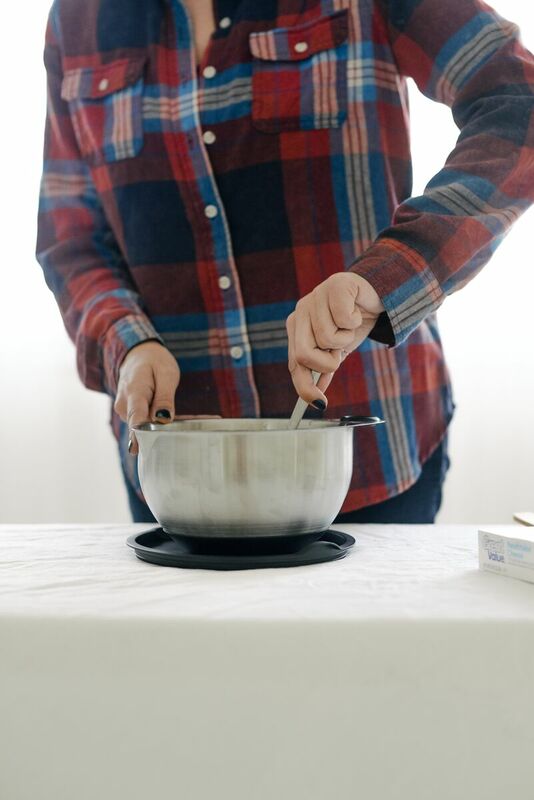 These look so impressive it’s hard to believe they’re that easy! Definitely going to serve some of these up this holiday season!